Firstly, congratulations on your decision to seek baptism. You may be thinking about baptism for your child or you may be a teenager or adult thinking about baptism for yourself. Either way, we want to offer you our support and encouragement. Hopefully the following information will help you! 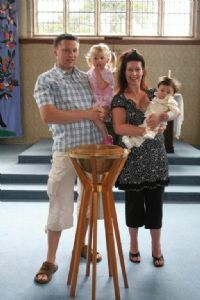 As a first step to thinking about baptism for yourself or your children, or a thanksgiving service, why not come along? For more information, and to let us know that you're coming, please contact the Church Office. 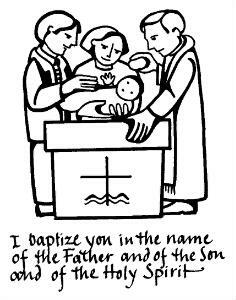 Baptism is a very special and happy occasion but it is more than a reason for a celebration party and it is not a naming service! It is a service of promises and Christian commitment. 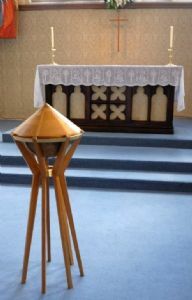 Those baptised (or their parents and godparents in the case of a child) should have an initial understanding of what baptism means which, nurtured and supported by parents, Godparents and the Church, should enable growth in the Christian faith. For this reason the choosing of Godparents is a very important part of each families baptism story and they must have been baptised themselves to be able to fulfill their Christian reponsibilities. For all involved, it is a journey of faith that will hopefully lead to those baptised being able to confirm for themselves what is often chosen for them in baptism. From the beginning baptism has been the official mark of entry into the Christian Church. 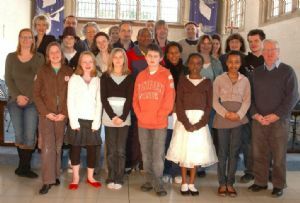 When those old enough to answer for themselves as children or adults come forward for adult baptism it can be an exciting and very moving public declaration of faith. 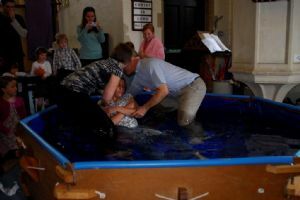 As well as baptising children by sprinkling we have enjoyed some wonderful children and adult baptisms by full immersion at Christ Church and other local churches, and some memorable Confirmations services. If the commitment required for baptism asks more of you than you feel you can honestly give, it is possible to arrange instead a simple service of thanksgiving for the birth of a child. This service simply thanks God for the wonderful gift of a child, and asks for God's help and blessing in the responsible task of parenting. 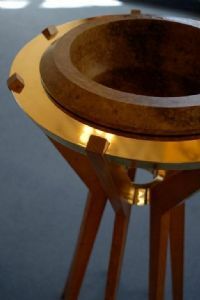 It also leaves open the possibility of baptism later. 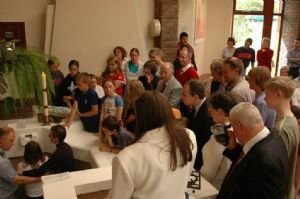 Baptisms usually take place on 1st and 3rd Sundays at 12.30pm, sometimes in the 10.30am Family service on the first Sunday of each month and occasionally at other times for Church for family reasons. 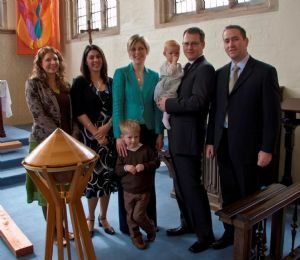 We invite parents (and Godparents) to a preparation afternoon, on a Sunday, to help them with the vows and promises, and encourage families to visit the Church on one or more Sundays before the baptism is to take place. In addition we highly recommend the Alpha Course as a way of exploring the basics of the Christian faith. For enquiries about baptism or thanksgiving services please contact the Church Office.